Hazards Conference is the UK’s biggest educational and organising event for trade union safety reps and activists. A mixture of plenary sessions, debates, meetings and a comprehensive workshop programme. Exchange experience and information with delegates from a wide range of sectors and jobs. businesses. In this way they side-stepped the, for them, disappointingLofstedt report. In summer 2011, the ‘Transforming Regulatory Enforcement’ consultation. asked businesses to say where reform of enforcement is needed. Responding in December the Government said it wanted business to become more like customers of the enforcement agencies, rather than just being subjected to the enforcement system. So law breakers as “customers” of the policing authority! They want to reduce enforcement and replace it with advice, and promote self-regulation and co-regulation, none of which offer any real protection against employer negligence or wilful disregard. 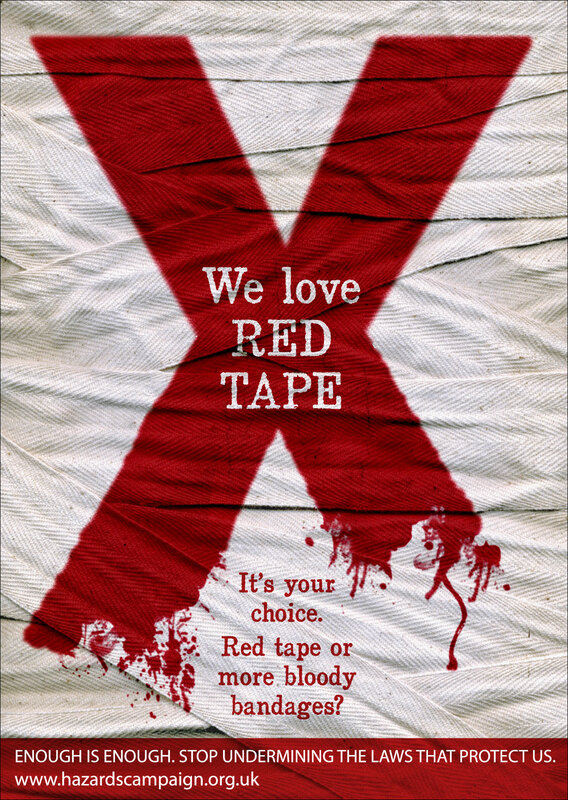 Workers have not been consulted on what they believe would improve regulation. Meanwhile, Dame Carol Black, appointed to review sickness absence, proposed removing GPs from the process of authorising long-term sickness absence after 4 weeks, and giving that function to a new ‘Independent Assessment Service’. She said that workers exploit the sick pay system, implying they are skivers, and that public sector workers are the worst, and encouraged the government to review public sector sick pay schemes. Such reviews invariably lead to worsening conditions of service. 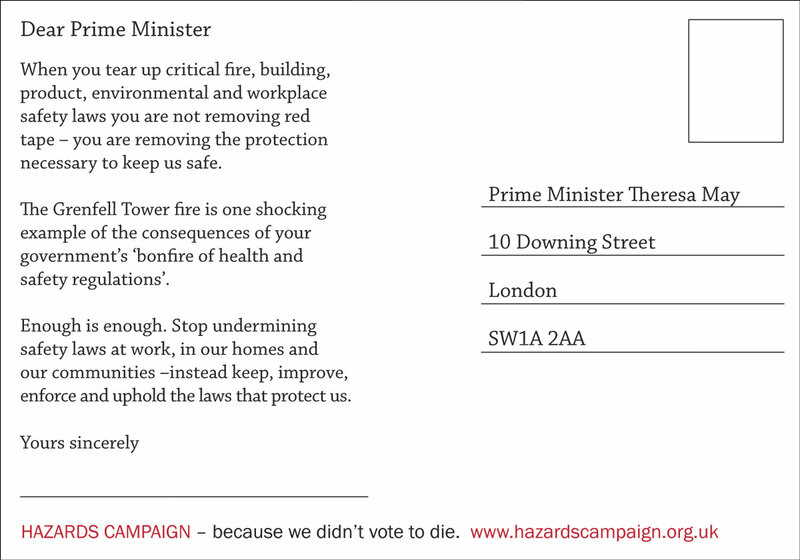 In January Cameron described health and safety as “an albatross around the neck of British businesses” and pledged to make 2012 not just the year of the Olympics and the Diamond Jubilee, but also “the year we get a lot of this pointless time-wasting out of the British economy and British life once and for all”. He supported the anti-trade union group the (so-called) Trade Union Reform Campaign, and told parliament that paid time-off for union reps in the public sector was a disgraceful waste of public money and would be stopped. workplaces and our union organisation. Come and learn what you can do. Previous PostBreast cancer – Hazards Campaign letter to The GuardianNext PostHSE’s dithering, denial and delay on workplace cancer is deadly!